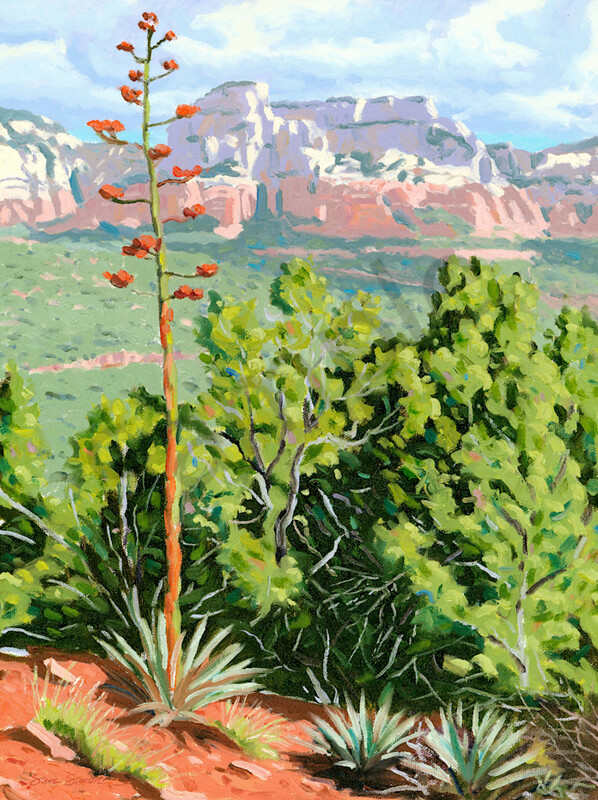 Oil painting of a blooming century plant. Century plants live on average 25 years. They bloom only once at the end of their life. The blooming spike is so large and grows so fast that it drains all the resources of the plant. The plant is called the "century plant" due to the exaggeration that it blooms only "once a century." Original oil painting of a blooming century plant.